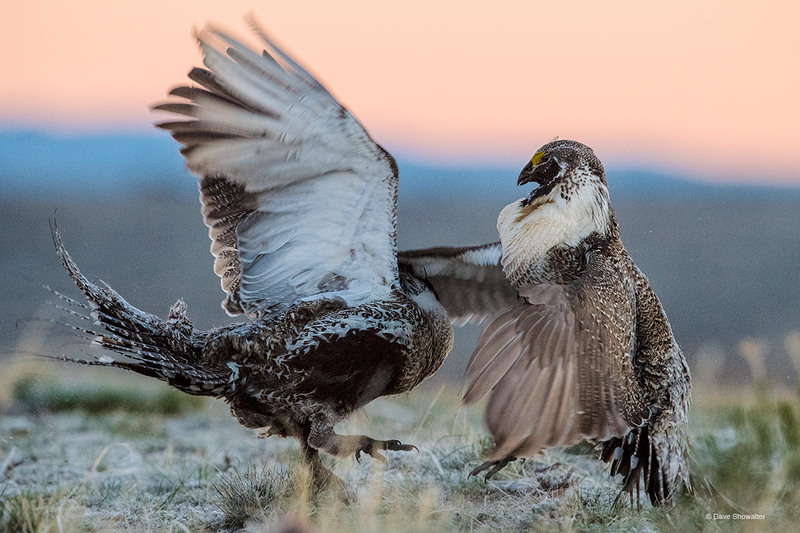 Greater Sage-grouse males fight at sunrise on a public lands lek in remote northwest Colorado. Fights are brief, mostly rapid wing-flapping and feather pulling affairs, sometimes with injuries from sharp digging claws. One male does most of the mating in a Sage-Grouse population, and these fights are battles for survival of the species, iconic bird of the American West. "Warranted, but precluded from protection under the Endangered Species Act.". Photo © copyright by Dave Showalter.